Jesus and His disciples leave Samaria to go to Galilee. The Galileans have seen all that Jesus has done in Jerusalem because they had been there for the Passover Feast, so the Galileans welcomed Jesus and His disciples. For the second time, Jesus visits Cana in Galilee. He had performed His first miracle at the wedding feast in Cana showing His transforming power by turning the water into wine. Now Jesus will show His saving, healing power and authority over death by saving a nobleman's son from death. Jesus will impart “new” life into this son by His powerful Word. Once Jesus spoke His Word, it accomplished that for which He sent it. Why? Because He is God in a flesh body! (see Isaiah 55:11) The Word of God still breathes new spiritual life into all who accept Jesus. “There was a certain royal official (nobleman) there …..v46 This was no ordinary man. He was a man of high-standing and power who was an official of the king. He had great earthly power, authority and influence. This royal servant of the king had an urgent need that his earthly power, authority and influence could not meet. His “son lay sick at Capernaum.” This son was at the brink of death. Without this urgent need, maybe this nobleman would have never come to Jesus. God's ways are mysterious. God will use this boy's sickness to draw this royal official to Jesus and eventually save him and his whole household. God will sometimes use our deepest pain and need to draw us to His Son Jesus. This nobleman must have heard about Jesus' miracles in Jerusalem so he traveled around 20 miles to get to Jesus for help for his son. His journey to Jesus was because of his great need. Our journey to Jesus begins in the same way. We must see our need of Him by seeing our true sinful selves. This nobleman's need was so urgent that instead of sending one of his messengers, he went himself. His desperate need will bring him to the Word of God and the Great Physician. This man will have to lay aside all pride and position and humble himself before Jesus. His rank will have no influence on Jesus. This nobleman in the king's court will have to bow down to a lowly carpenter who is also God for help. The Bible says that this man begged Jesus to come with him and heal his son. Jesus was his last hope for his dying son. In truth, Jesus was his only hope! Paul says in 1 Corinthians 1:26, “ For you see your calling, brethren, that not many wise according to the flesh, not many mighty, not many noble, are called.” Not many who have earthly power, riches and influence will respond to the call of Jesus because they think they have no need. Capernaum was Jesus' home base during His three and one-half years of ministry on earth. Jesus had no honor in Nazareth, so He made His base in Capernaum. (Now Jesus Himself had pointed out that a prophet has no honor in His own country. V44) Capernaum is a city on the western shore of the Sea of Galilee at the place where the Jordan River flows into the Sea of Galilee. The Jordan River and the Sea of Galilee meet here at Capernaum. Capernaum means “village of comfort.” This king's royal servant will find comfort and hope at Capernaum. Jesus by the power of His Word and the Comforter (Holy Spirit) will bring “new” life to his dying son. The Holy Spirit and the Word meet in Jesus. They become One in Him because they will never contradict or work against each other and will always do the Father's will. The Holy Spirit and Jesus (Truth) also come together as One in believers of Christ. Jesus is now talking to “you people,” not just this nobleman. He is talking to the Galileans and others around him – both Jew and Gentile. Jesus is addressing the spiritual condition of the crowd. They wanted miracles and signs in order to believe. They weren't interested in righteousness or repentance. When John the Baptist and Jesus spoke about repentance the crowds left them. Paul said in 1 Corinthians 1:22, “Jews demand miraculous signs and Greeks look for wisdom, but we preach Christ crucified, a stumbling block in Jews and foolishness to Gentiles, but to those whom God has called, both Jews and Greeks, Christ is the power of God and the wisdom of God.” Jesus' main goal was to bring people back to right relationship with God. Instead of believing in the spiritual power of Jesus' Word, these wanted signs and wonders – quick fixes! We must have faith in the Word more than in signs and miracles. And we also must embrace repentance and righteousness. The living, powerful Word of God will carry us through everything. Faith in Jesus and His Word is the greatest gift and will develop stronger faith. This is a higher faith based upon who Jesus is and what Jesus speaks. Our faith isn't to be centered upon signs and miracles. Signs, miracles and wonders are to lead us to a deeper faith and attachment to Jesus. They bear witness to Jesus and encourage us to trust in Him, but our faith must be centered upon who Jesus is and what He has done for all of us. This nobleman will have to trust in Jesus' Word in order for his son to be healed. Jesus will test this nobleman's faith. Jesus will not always be with him or us, so He must teach this man and us how to maintain faith without miracles and signs. This man had some faith because he came to Jesus for help. Jesus accepts faith no matter how weak or strong, but He wants us to move forward with even deeper and stronger faith in Him so we can withstand any storm. This nobleman's faith had waned because of the circumstance. 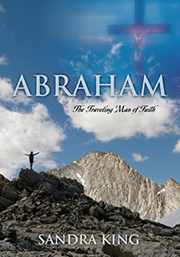 Jesus will teach this nobleman a higher faith that believes in Jesus' Word in blind faith. This nobleman was used to giving orders and being obeyed, but now Jesus will give the order and the nobleman must have faith and obey. This man's son is this man's heart. “Sir, come down before my child dies.” v49 This nobleman is persistent and desperate. He thought that Jesus would have to be present with his son in order to save and heal him. No earthly, royal favor can save his son. Power, authority and money can't save him. This nobleman must trust Jesus and His Word fully. “Faith comes by hearing, and hearing by the Word of God.” Romans 10:17 The Word of God is more important in strengthening our faith than anything else. We need to hear the Word of God more than see miracles. Jesus merely spoke His Word. There was no show or need to bring attention to Himself. He spoke this son's healing into existence by His powerful Word. “You may go. Your son will live.” God's Word accomplishes that for which He sent it! Jesus is not limited by time and space so He didn't have to be present for this son to be healed. He is God. Even though Jesus came to earth in the fashion of man, He is still God and has the fullness of the power of God because He is Divine within – without sin! If we reduce Him to being just a man or a Jewish man, we have misunderstood who and what He is. Distance doesn't stop the power of Christ even in His earthly body. He can work contrary to the laws of nature because He is the embodiment of the Godhead in flesh. The Bible says “this man took Jesus at His Word and departed. While he was still on the way, his servants met him with the news that his boy was living.” vv50b-51 He had Jesus' Word and assurance to hold on to. He must respond to the Word of God and believe it by faith. Jesus' Word is as effective as His presence because He is the Word of God who created all things in the beginning. This man's trip back to Capernaum was a two-day trip. His royal servants met him on the way with good news. His son was alive! He was saved from certain death. Jesus is the Healer, but more importantly He is the Savior. He saves us from eternal death. The servants didn't know about Jesus' words, but the nobleman did. He knew the One who had spoken that his son would live. “The fever left him yesterday at the seventh hour.” Seven is the number of completion. The nobleman's son was immediately and completely healed at the very time that Jesus spoke His Word. “So he (nobleman) and all of his household believed.” v53 The possible earthly death of this boy brought spiritual, eternal life to a whole household. God used this crisis to bring a whole family to Jesus. Jesus gave this son life, but more importantly, He gave a whole family eternal life. Jesus can give eternal life because He possesses eternal life. This royal servant (nobleman) was a high official in an earthly kingdom. Now he will be a royal servant in the Kingdom of God serving the King of all kings. This was the second miracle that Jesus performed in Cana of Galilee. The Lord Jesus is not afar off today. He is everywhere as the Creator of all things, and He is the Word of God. He brings salvation, transformation and new life. You can trust Him and His Word. When we cry out to Him, He hears us and will answer. We don't always understand our circumstances, but Jesus knows the plans He has for us. Just trust Him!